The Best Outdoor blogs from thousands of top Outdoor blogs in our index using search and social metrics. Data will be refreshed once a week. Also check out Outdoor Podcasts and Outdoor Youtube Channels list for Top videos on Outdoor. New York, NY About Blog Outdoor Life is the best source for new gun reviews, how-to hunting content, gear tests, fishing photos, and outdoor news. It is our mission to provide you with the best hunting and fishing news and entertainment for you to share with your friends. Facebook fans 592,082. Twitter followers 93,555. Facebook fans 2,005. Twitter followers 4,725. Facebook fans 1,553. Twitter followers 1,350. About - Find great hiking, campsites, cabins, and parks with our adventure search. Adventures provide detailed trail maps, amazing photography, and great details. About - Outdoor Photographer is the ultimate photographer's guide to nature, wildlife, travel and adventure sports photography, featuring the work of renown artists. It is the premier magazine about outdoor photography. About - Outdoor Life offers the best hunting and fishing tips on the internet. Whether you’re looking for the latest hunting rifle review to survival tips, Outdoor Life has it all. It is the best source for new gun reviews, how-to hunting content, gear tests, fishing photos, and outdoor news. About - The Big Outside is Michael Lanza's blog about the best hiking, backpacking, paddling, skiing, and family adventures in the U.S. and around the world. About - GO Outdoors are the UK's Biggest Outdoor Stores. About - Outdoors And Nature Blog; Covering Wildlife, Walking, Geocaching, Camping, Reviews And Much More. About - The Girl Outdoors, a blog for anyone who loves adventures. It features travel, sport, photography, outdoor style and gear reviews, and it’s here for inspiration if you feel like you need some fresh air. About - On here you will find articles about hiking, fishing, kayaking, climbing, camping, outdoor cooking, coastal living, adventure sports and many other things. I hope you really enjoy reading about my sunny, epic, outdoor adventures in Cornwall and all around England. About - A hiking and outdoors blog by Taryn Eyton. My home is in Vancouver but my heart is in the mountains. I share advice, info and inspiration about my happy place: the Great Outdoors. About - Growing up in the Laurentian Mountains of Quebec, Jeff was introduced to the outdoors at a young age; falling in love with it instantly. Over the years, he has made the Great Outdoors and conservation a focal point for his life’s work. Jeff holds degrees in both Environmental Management and Fish & Wildlife Biology, is an award-winning member of the Outdoor Writers of Canada and has contributed to many Canadian and American publications over the years. About - Canada's Source for Outdoor Adventure, Hiking, Camping, Gear, Travel & Skills. About - Canada's best read outdoors magazine - get the latest hunting and fishing tips, gear, news and more from our Ontario OUT of DOORS experts. About - Discover Outdoor Australia - Your comprehensive guide to the best Outdoor destinations and accommodation all over Australia. About - The Bushwalking Blog helps travel and outdoor enthusiasts find their perfect adventure, as well as the gear and knowledge they need to undertake it. We mostly explore the world on foot, but any outdoor adventure is a good adventure. About - We invite you to join us in enriching lives with stories of the outdoors, told through imagery, videos, athletes and events that we support, and the greater outdoor community of Australia and New Zealand. About - Wild is Australia's oldest wilderness adventure magazine. We cover most human-powered pursuits: bushwalking, paddling, trekking, caving, mountaineering and canyoning. About - The Outdoor Journal is an international active lifestyle and adventure magazine. We're based in Boulder, USA, Luxembourg and New Delhi, India. About - inditramp is a weekly magazine for the outdoor enthusiast in india. Our Vision is to help connect people to the outdoors. Our Mission is to encourage and enable people to opt for the outdoors with trekking and bikepacking adventures through India. About - Adventures365.in is India’s biggest Adventure sports and activities marketplace. We are providing the easiest way to find and book unforgettable adventures. CONGRATULATIONS to every blogger that has made this Top Outdoor blogs list! 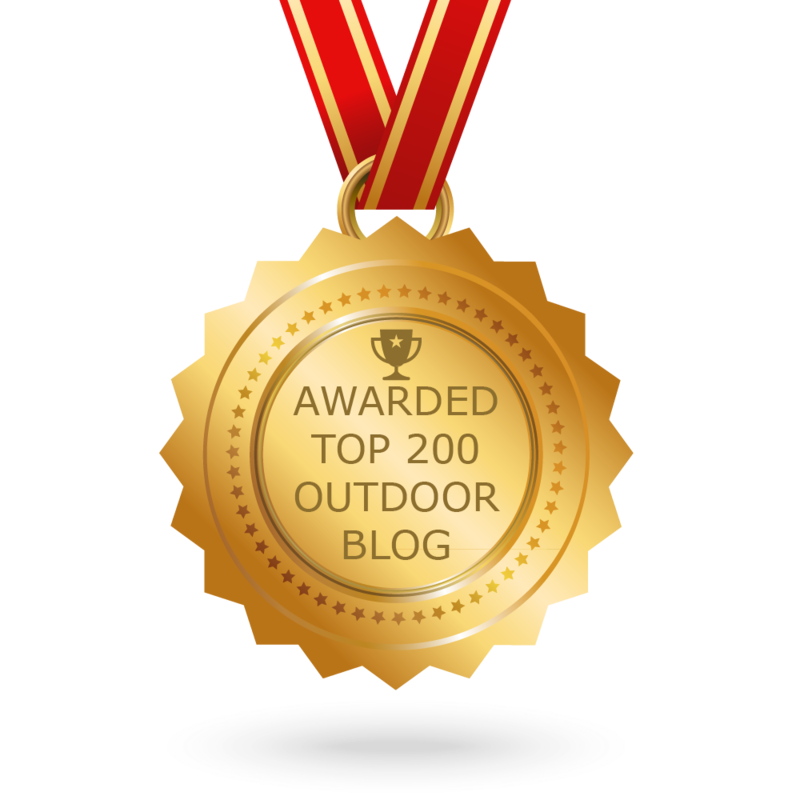 This is the most comprehensive list of best Outdoor blogs on the internet and I’m honoured to have you as part of this! I personally give you a high-five and want to thank you for your contribution to this world.